A friend read my recent post on Dogen, Spinoza, and Whitehead in hopes of finding reason for hope. Dogen and Whitehead posited meaningful universes fit for humans to dwell in — Dogen’s universe nudging us towards Enlightenment and Whitehead’s towards greater novelty, complexity, and beauty. That sounds pretty hopeful, doesn’t it? My friend worries about his mortality and about the future his children will inherit. He wonders whether we humans have a future. He wants to hope so. He wants to believe, like Martin Luther King, that “the arc of the moral universe is long, but it bends towards justice,” that our lives are a journey into a better future. Is there reason for hope? In the short term, we’re all mortal; in the longer term, all things are impermanent — things fall apart. Astrophysicists say our sun has a limited shelf life. Cosmologists tell us our universe will eventually succumb to entropy or collapse. The intermediate term isn’t much rosier. There’s the so-called Fermi Paradox — the contradiction between the fact that our universe contains an astronomical number of potentially habitable planets and our failure to detect signs of intelligent life elsewhere. There are many possible reasons for this, including economist Robin Hanson’s notion of the Great Filter — a theoretical barrier which reduces the odds of any evolving intelligence surviving beyond a critical point. Whenever a species reaches a certain level of technological sophistication, they — like the unfortunate Krell in the 1956 Sci-fi classic Forbidden Planet — unintentionally create the conditions leading to their own extinction. We humans seem well on our way towards a multitude of Doomsday scenarios of our own devising: environmental catastrophe, nuclear holocaust, genetically engineered plagues, or potentially hostile artificial intelligences, just to name a few. The odds of our inadvertently causing our own demise seem fairly high. While the universe may, as Whitehead thought, be generally evolving in the direction of greater complexity, intelligence, and beauty (at least in the short-to-intermediate term), it’s not placing all of its bets on us. We’re one of an almost infinite set of variations on an evolutionary theme, and the universe may well be indifferent to our specific success or failure. So hope may be unwarranted. I once worked in a rehabilitation program for people with spinal cord injuries and other neuromuscular impairments. All of the clients — without exception and against all medical evidence — believed they’d one day walk again. Their doctors sometimes advised them to “get real.” It wasn’t going to happen. 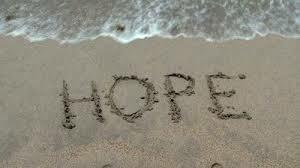 One of the clients — a former dancer, now both quadriplegic and blind — responded to doctors’ attempts to disabuse her of her “unrealistic” hopes by educating them that “hope is what gets you through the day.” Hope is what gets you through a dark time to a better time when nothing else sustains you. I learned never to discourage hope, however unrealistic, unless I’d something better to offer in its place. Yet for me personally, hope for the future seems somehow unnecessary. I prefer “not knowing” to “hoping.” Not the “not knowing” of ignorance, but the “not knowing” of understanding that all ideas, conjectures, predictions, and expectations about the future are just that — merely ideas, conjectures, predictions, and expectations and nothing more — a gossamer web of thought. The future is unknowable, yet to be born. We all have our ideas about it — we’ll moulder in the grave, or live in Heaven, or be reborn; the universe will keep on expanding or will collapse; the laws of physics are immutable or impermanent; the human race will become extinct or we’ll survive as space travelers, dwelling in the light of foreign suns. We may have strong or weak convictions about all this, but really, who knows? How many of your past strong convictions have already proven to be incorrect? Suzuki Roshi once said that life was “like stepping onto a boat which is about to sail out to sea and sink.” I like his perspective. We don’t need assurances about rosy futures. We’re here briefly and then we’re gone. That’s it. What use are we to make of our brief but precious lives? If there’s to be a future, it will be due to the collective effect of our individual actions. There are no assurances that what we do will matter in the end — but what difference does that make? If we survive it will be because we’ve acted with sufficient awareness of our interconnectedness, sufficient intelligence, and sufficient compassion and love. If we don’t survive, if we’ve just one brief moment to strut upon the stage, why not make that brief moment one of presence and awareness, of love and connection? Why not shine as brightly as we can? Regardless of our hopes and fears, every one of our actions is a vote for or against the future. Every action we take, every dollar we spend or invest, every word we speak, ripples throughout time, changing the world in some small way, tilting the balance in one direction or another. Shine as brightly as you can! Change happens. The last two centuries have given birth to a gradual extension of rights to people of color, women, and the gay and transgendered. We’ve seen the fall of the Berlin Wall and an end to Apartheid. We’ve seen the emergence of new concepts of international law and universal human rights. We’ve seen fragile, tentative movements towards international cooperation through institutions like the United Nations and the European Union. We’ve seen sixty years of relative “peace” between the competing great powers who, while testing each other through gruesome proxy wars, have — so far— resisted direct combat and global catastrophe. On the other hand, we’ve endured the two world wars, genocides in Turkey, Nazi-occupied Europe, Cambodia, and Rwanda, fratricides in Yugoslavia and the Middle East, the Soviet Gulag and the Ukrainian famine, the Chinese Cultural Revolution, endless enmity between Pakistan and India, repression in Tibet and saber-rattling in the South China Sea, bloody American wars in Afghanistan and Iraq, Vietnam and Cambodia, the spread of Jihadism, and a thousand other failures of humanity. Are things getting better? Are they getting worse? Flip a coin. Hope and despair are both “something extra” — projections of thought into the unknown. All we have is this moment; use it well. Shine as brightly as you can! Look at getting mad from this perspective. If you had but five more minutes left to live, and it would still be worth getting mad over, by all means do so.